My daughter is a princess. I suspect most fathers feel this way about their daughters, but my daughter is especially a princess, because she is mine. See how that works? There is a magical moment in a father-daughter relationship, where she asks you to make her something. What joy! Being a princess, she wanted to decorate her room accordingly, and she, specifically, wanted me to make her something “princessy”. Gleefully, I accepted the challenge and went off to google “princessy”. 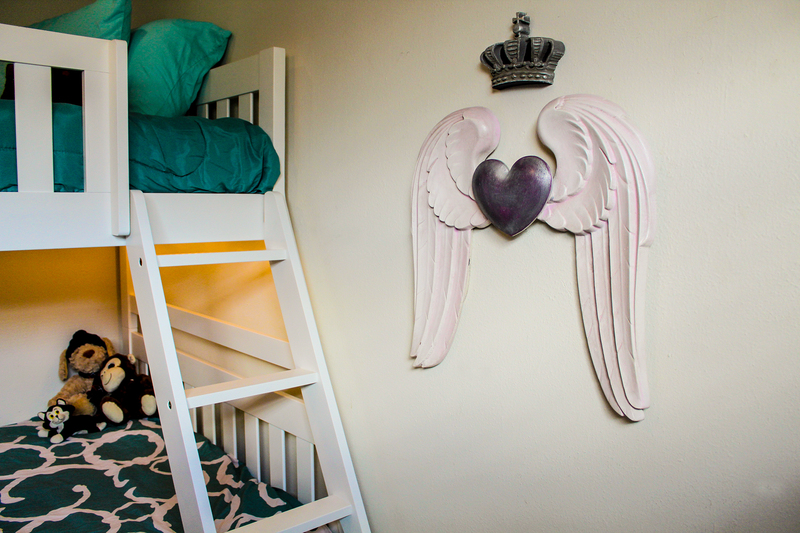 Apparently, princess decor is popular with young girls, and there is no shortage of ideas out there. Most of it is branded content from a certain mouse company, but intermixed were some fun possibilities. 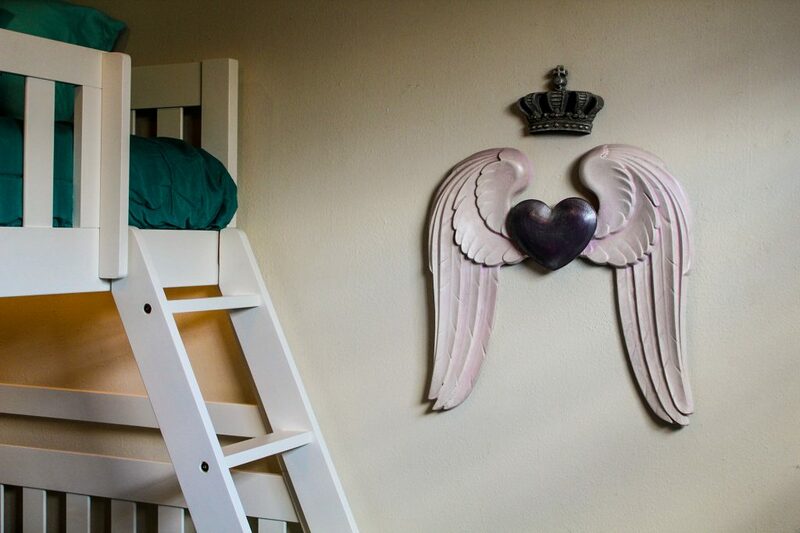 I expanded the search to a more general “girls room” and found some other great ideas too. 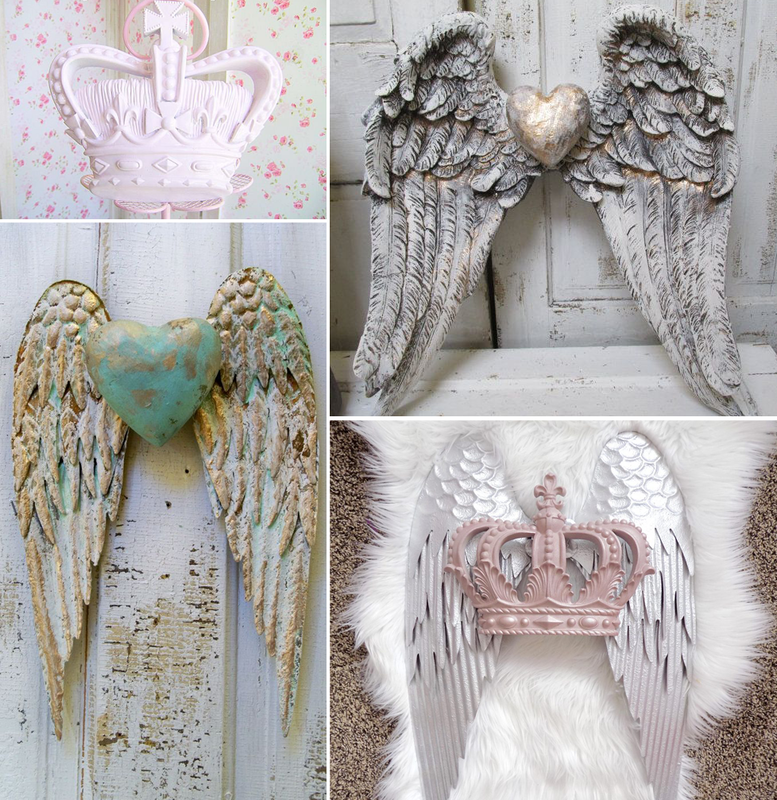 I ended up focusing on crowns, hearts, and wings. princessy – adj. characteristic of or resembling a princess; every girl under 7. With the patterns downloaded and licensed, I began the design process. First, I decided on a size. I came up with about 20 inches tall wings, on which to base everything. In order to get the depth I wanted for this project, I decided to use the 1/8″ deep carve bit and set the project to be 1.5″ deep. I arranged one wing with a mounting block on its’ terminus, and used the mirroring tool to automatically make the other wing. Then, I placed the crown in the center, as it also needs to be deep carved. 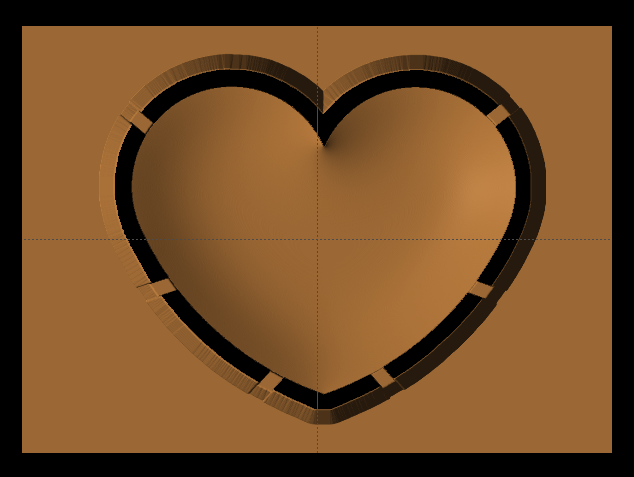 The heart can be carved on a regular 3/4″ board, so I made it a separate project. 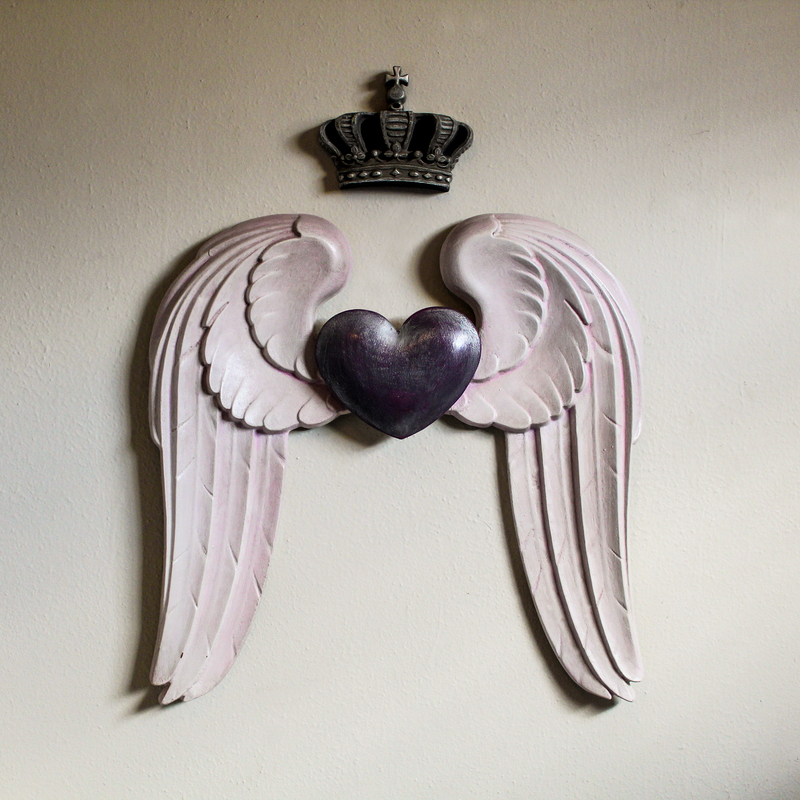 This project can be carved on anything since it’s intended to be painted; ie. plywood, MDF, low-grade pine, or anything else inexpensive. I like to work with MDF because the cabinet shop next door throws tons of it away and I intercept much of it before it gets to the dumpster. It carves great and it’s free. 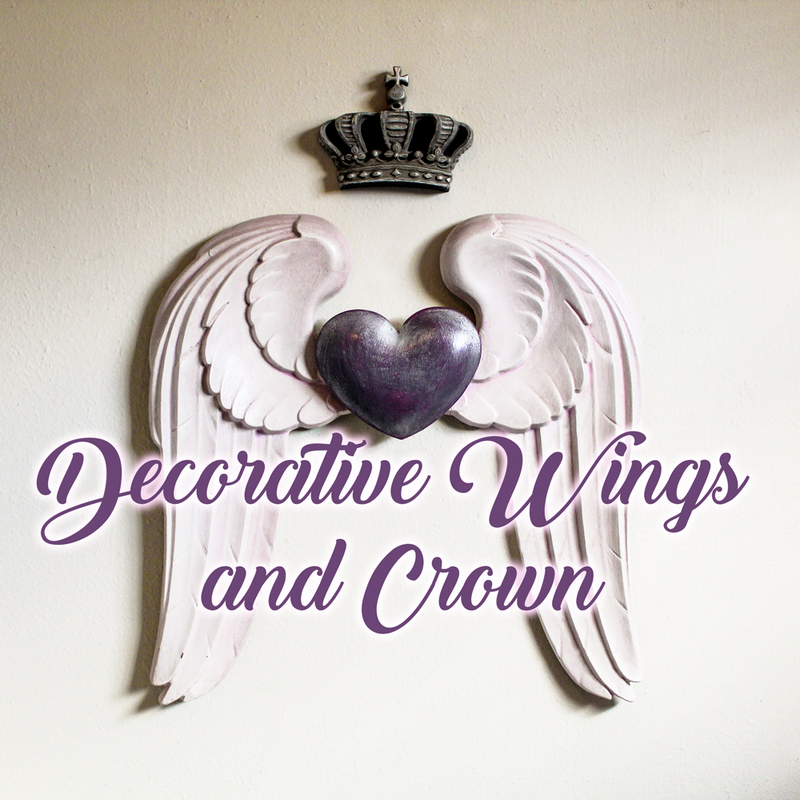 The wings and crown need a 48″ x 11″ x 1.5″ board, so I had to glue 3/4″ pieces together to get the correct thickness. 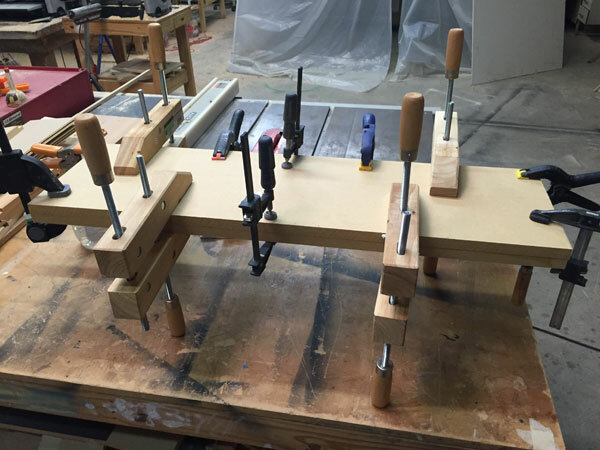 Glueing 2 boards together to make a thicker board. Once boards are prepped, it’s time to feed the machine. Load your boards and run the projects on the CarveWright. Once carved, carefully remove tabs with a sharp knife or chisel and sand pieces with a Sanding Mop. I prefer my large 240 grit mop for softer materials like pine and MDF. I’ll often put several coats of shellac or wood hardener to seal and harden the surface before sanding. 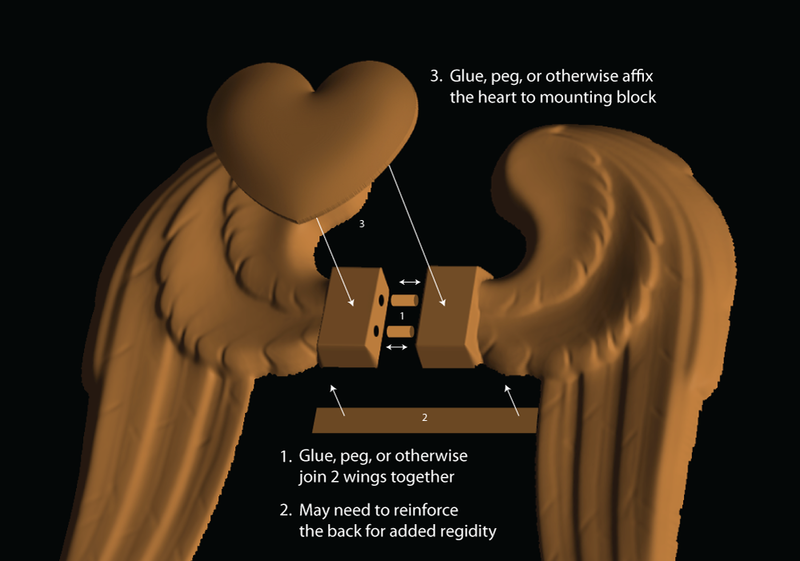 After the pieces are cleaned up, assemble the wings together and then glue the heart to the mounting blocks. Only thing left to do is paint. Pinks, purples, and sparkly seemed to be the proper princessy choices. If you must know, she was very pleased with her father’s interpretation of “princessy”, and I was duly awarded with a hug and a noticeable increase in adoration. I hope she always stays this easy to please. This entry was published on March 1, 2018 / Joe Lovchik. Posted in The CarveWright Build Blog. Bookmark the permalink. Your a lucky dad , mine are grown and I didn\’t have a carve-wright when they were little! But I have 4 grandsons now and they all want cars or motorcycles! Totally beautiful, as I\’m sure your daughters. Fathers always feel that. Beautiful story and beautiful outcome! Great Princess decor!